Are you looking for feedback from people with osteoarthritis or joint pain who have tried Green-lipped mussel, Curcumin or other natural ingredients? Here below, we have collected experiences and reviews. Have you tried ways to get rid of your pain? We are interested to hear your story. Share your story with us. FYI: Within the framework of legislation related to health claims, we are unfortunately not allowed to mention brand names and retail outlets within the reviews. I have bursitis upper right leg. After using the gel it almost disappeared. I was told by my GP that my sore swollen knee was caused by osteoarthritis. If I would suffer a lot I might get a referral to an orthopaedist. I have arthritis in the lower back, radiating down my legs. In 1990 I received a new hip. I always had pain in the bones of the forefoot. In addition, a lot of pain in the right hip with walking, sitting, and especially when I lay in bed, often could only lie on my back, otherwise the pain was unbearable. Have lots of muscle pain and burden of the hips. Pain from hip to knee to the bottom of the foot. Daily: take lots of vitamins C, 2 to 4 pieces. Eat bread with Blackcurrent marmalade / syrup, then sprinkle turmeric powder on it. Take green-lipped mussels from New Zealand. Use daily in small amounts (otherwise you get diarrhea) magnesium powder solution (Magnesium Verla 300), type Orange. Use also varied: iron tablets, selenium, mica, multivitamins, omega-3. But drink a lot, move a lot, eat little. Try to eat healthy and not eat sweets. Also share your story with us.. I had a lot of pain in my knee. I also had to quit my job, I worked all my life in the hospitality industry, but in recent years I could not sleep properly because of the pain, and it was getting worse. Therefore, my contract was not renewed resulting in dole. With a pair of bad knees, and age, I did not get back in a job, walking continued going worse. The orthopaedic surgeon could not help me because it was not so bad that I could get new knees. I had injections several times, but they got less effective over time. Still wanting to progress, I read about the Green-lipped mussel..
We were in Spain and there they were on sale for not so much money, so then I thought now I’m going to give it a try. The first month I took 2 x 1 tablet a day, and now one every day. I benefit a lot from it, the inflammation is strongly reduced. And I can even walk without difficulty. However, I must always be careful not to overdo it and not to overload. It is worn out and it is not gone, but the inflammation is pretty much under control. For the last two years I walk poorly with pain in my left leg. X-ray showed – extensive arthritis lower back. Treatment – just pain killing. To reduce the pain, I did physical therapy, home exercises, 3x 1000mg paracetamol and ibuprofen 3x600mg. And something else containing morphine but I no longer remember the name. No results. And a year homeopathic remedies either. I’ve had problems with my joints and I started using green-lipped mussel after seeing the video of Dr. John Ide de Jong. I suffered from the hands and in the morning the first half an hour much back pain by stiffness when moving, after hernia which left me with a numb foot. To my great surprise the pain in the morning after getting up suddenly had disappeared after having taken green-lipped mussel three times a day for 6 weeks. Now I use the product twice a day and it continues to go well, but I still cannot believe it. I order the product of ****** in ******. Saves up to 15 euros per packaging. You must be a member of ******. Earlier on I tried almost everything and green-lipped mussel was my last attempt. I was actually not expecting any results. Have tried everything, I’ve been treated by an orthopaedist in Zoetermeer Langeland, and had a number of injections. Thereafter the orthopaedic centre in Delft (private clinic). It was not yet sufficiently worn to help me with a new knee, so again injections, but that helped me the last time just for two weeks. They cannot do anything now, quite annoying. At last I could not even walk for 500 meters, while I have always been very active. Always worked in catering, so quite a limitation for me. 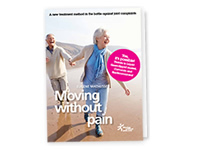 I signed up for the newsletter “Moving without pain” and discussed my problem with the doctor. He advised me to try the green-lipped mussels, and if it would not help after 80 days I had to stop as it would not help me. The first 3 weeks two tablets and then 1 tablet. It’s very strange, but I notice that I’m getting improved moving. I walk a little bit further than 500 meters. And at night I can just sleep. Anyone who has worn knees, knows how often you cannot sleep because of the pain, and is playing with pillows between the knees, you do not know how to lie. Strangely enough I realized that I sleep well again and no pillow between my knees. Of course it’s not all over and certainly after overloading, but I’m sure it’s better halfway, and I am using it for a month now. I cannot wait being without pain and continue living. At first I used the liquid version for 80 days. After the first week I had a great result. After a hip replacement on April 22 2014 I thought the next operation would be my knee. After using this product, I can truly say that this product has saved me an operation. I now have the maintenance cure in the form of pills that I take one day 1 and the other day 2. So round and round. I feel pretty good with it. My knee holds well and swelling is completely gone.. Sometimes I still have some pain in my hands but I also blame the rainy weather. And before I could not use my hands because of stiffness. I’m a big fan of ******* and tell everyone who possibly could use it for osteoarthritis please do it. It works great!! On 12/12/2011 I started with*******, upon the advice of the orthopaedic surgeon, where I was under treatment for a worn knee. The pain soon became less (after 3.5 weeks) and eventually disappeared completely. Also the pain in the hands (due to osteoarthritis I wore hand braces) and my deformed right hand. Now almost three years later I’m still a very satisfied customer using *******! The orthopaedist I no longer visit, because that is not necessary. The use of painkillers has become significantly less. I use 2 (liquid) capsules per day. And that’s fine. I recently tried the ******* – gel on my knee; it rarely troubles me but now I had considerable pain. Within 10 minutes the pain was gone!!! I was so surprised about it, really thought this could not work! Nothing was further from the truth! In my area more and more people start using *******. And they also benefit a lot. Not always, that’s unfortunate. It does not work with everyone, unfortunately. But I do think that everyone should try it! Yvonne W.
I’ve been using *******for some time now because I suffer a lot from my worn knee. My complaints have been reduced a lot! In the morning I get out of bed now without stiffness. And in the evening I have almost no swelling in my knee! I have even been able to ski again. After a month 2x daily 5 ml in the building up phase, I now use 1x per day 5ml. That’s enough for me. Take it consistently, though because by circumstances I forgot it a few days and instantly felt my knee again! Fortunately it soon got better when I again took *******! It’s not cheap but it really helps, so for me it is worth every penny! Karin W.
Share also your story with us..
Used it now for 2 months, building a cure. I am completely relieved of my pain and now start with a maintenance treatment. I have ankle arthritis and could hardly walk, I even broke my ankle last winter. I then started using ******* after the fracture had healed. My knees are not stiff anymore. Used it now for two years for rheumatoid arthritis and am off all the medicines the rheumatologist prescribed. Those drugs I could not stand (also have diabetes, rapidly causing side effects). ******* gives me no side effects. Share your story with us, thank you in advance! We would also like to know the names of the products you have been using.